Acer calls the Predator Thronos a gaming chair, but it's a lot more than that. Just look at it! This “gaming chair” will no doubt get hearts racing on the r/simstation subreddit. 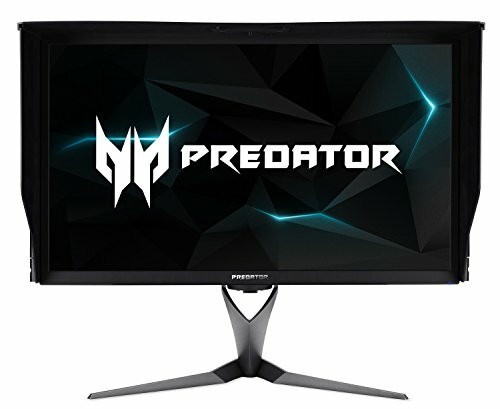 The Predator Thronos reclines up to 140 degrees, giving you plenty of room to lay back and soak in your games across up to three 27-inch displays. And if that doesn’t sound immersive enough, the chair vibrates when you’re hit in-game, which sounds similar to the haptic feedback you get with controllers. Acer’s clearly envisioning the Predator Thronos as the, uh, throne of gamers who live and breathe the brand. “Integrated with a Predator PC and triple Predator monitors plus gadgets, the Thronos becomes more than a gaming chair—it’s a gamer’s cave,” the press release says. A gamer’s cave. Think of it like jacking into the Matrix, but without all the metal bits inserted in your skull, maybe? Anyway, like I said, this is more of a simstation rig than a gaming chair you’d buy from the likes of DXRacer. Acer didn’t announce pricing or release date information for the Predator Thronos, but don’t expect it to come cheap. Immersive chairs like this are nothing new, though Acer’s aggressively GAMER aesthetic certainly is, and alternatives like The Emperor chair by MWE Labs can start at $5,000. Yep, with four zeroes. The amazing-looking workstations by Imperator Works also sell for many thousands of dollars depending on the configuration you choose. Of course, the cost doesn’t include the PC and monitors. You’ll need to BYO. And if you’re rocking a chair like this, you’ll probably want an equally luxurious computing setup. 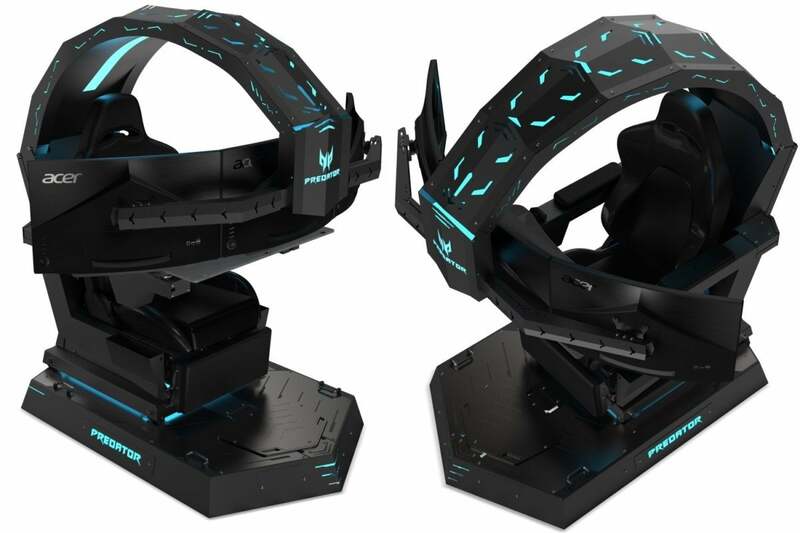 Note that while Acer’s marketing pushes you towards outfitting the Thronos with other Predator gear, you can swap in any PC or monitors that fit into the rig’s overhead brace. That said, a trio of Acer Predator X27 G-Sync HDR monitors sounds like a worthy configuration, eh?